The president and vice-president operations of the Ryerson Students’ Union (RSU) were suspended by the executive team on Jan. 25 following the publication of credit card statements showing thousands of dollars worth of purchases, The Eyeopener has learned. In a private emergency executive meeting, three members of the five-person executive team approved a motion to suspend RSU president Ram Ganesh and vice-president operations Savreen Gosal—both of whom are signing officers—effective immediately. The Eye previously reported that statements from an RSU credit card registered under Ganesh’s name show purchases totalling thousands. The statements show that purchases included $2,280.89 to the club EFS Toronto, $2,507.18 at a Cineplex Rec Room in Toronto and $1,375.21 at Nick’s Sport Shop. There were also purchases of $190.97 and $117.52 to Long & McQuade in Toronto, $347.34 to Haze Lounge Inc. in Mississauga, $696.90 on an Airbnb and $613.60 to Bar Everleigh Toronto, among others. At a BoD meeting on Jan. 24, Ganesh said the card could be used by any part-time or full-time RSU staff member. During the BoD meeting, student groups director Maklane deWever said he saw the full financial statements which he alleged amounted to $250,000. 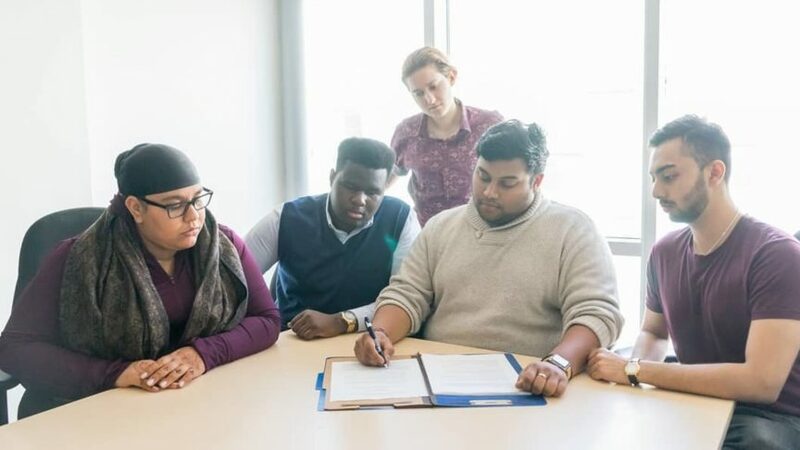 In Facebook message conversations obtained by The Eyeopener, Cristal Hines and Chelsea Davenport, two Faculty of Community Services directors, repeatedly stated that vice-president education Salman Faruqi’s motion violated bylaws and said the two executives cannot be suspended unless done so through a two-thirds-majority vote by the Board of Directors (BoD). In the RSU’s bylaws, article 9.01 states that impeachment motions should be brought up to the BoD. “We told [Faruqi and vice-president equity Karolina Surowiec] multiple times but they’re saying [Gosal] is not vp-ops…we need to show students the process,” said Hines. The motion results show that Ganesh, Faruqi and Surowiec voted in favour of the motion. Gosal voted against the motion, while vice-president student life and events Edmund Sofo abstained from voting. Surowiec said the only way the motion could pass was if the president was present and voted in favour of it. In an interview with The Eye, Faruqi said the suspension does not mean Ganesh and Gosal resigned or will be replaced. The BoD can overturn the decision at any time, he added. 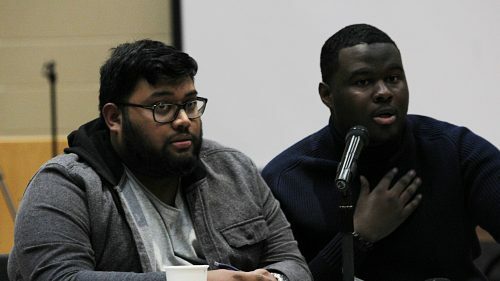 From left: RSU president Ram Ganesh and RSU vice-president student life & events Edmund Sofo at the Jan. 24 Board of Directors meeting. Gosal called for an emergency meeting on Feb 4 in a Facebook message to the board. The meeting was brought forward to allow the board to appoint an external auditor to investigate the RSU’s finances. “The board has the oversight to hire an auditor rather than leaving it with the executives who might have perceived conflict,” wrote Gosal. In an email statement to board members, Faruqi said the executive team held the emergency executive meeting because he felt that having Ganesh and Gosal involved in their own financial investigation would pose a conflict of interest. “These are trying times at the RSU, and we are doing everything we can to make the right decision for the organization,” said Faruqi in the email. In an email response to Faruqi, board members Hines, Davenport and Simi Olatunji, a Faculty of Ted Rogers School of Management director, said the motion to suspend Ganesh and Gosal violated multiple RSU bylaws. The motion also requests that Ganesh and Gosal’s access to the RSU’s documents, emails and any electronic items—including phones, laptops and access key cards—be revoked. When The Eye contacted Gosal and Ganesh through their RSU email account, the emails bounced back. “You also don’t have authority to block access to their emails,” wrote Davenport in an email response, adding that executives are accountable to the board. When reached by phone, Ganesh refused a request for comment. According to the motion, which was presented by Faruqi and seconded by Surowiec, Jay, the financial controller, will appoint an external auditing firm to conduct a forensic audit on the RSU’s official business credit cards. Jay has set a deadline of Feb. 1, for the union to reconcile their financial statements by presenting receipts for their purchases. In the Facebook messages, Gosal said Faruqi’s email and actions were unilateral and were not approved by the executive. Surowiec defended Faruqi saying his motion was approved by a majority vote. Ganesh and Sofo did not send any messages in the group chat during this discussion. If legitimized, any deeds, licenses or contracts made on behalf of the RSU cannot be processed because they would require any two signing officers to approve them, according to the RSU bylaws. 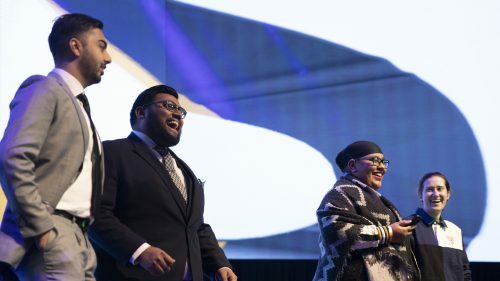 Some board members said Faruqi’s move is intended to shut down the RSU, as some employees may not be paid and any financial transactions requiring cheques cannot be approved if both signing officers are suspended. According to the RSU’s financial policies, Gosal, Ganesh, Jay and the RSU’s general manager (GM) and are the only signing officers. The RSU fired their GM last May, leaving them with three officers. Two signing officers are always required to sign off cheques, and Ganesh and Gosal’s suspensions would leave the RSU with only one. “They’re literally pulling a Trump and the entire government will be shut down and the RSU will not function and everyone’s held ransom [with no grounds],” said Hines in an interview with The Eyeopener. “No one will have their pay because of what they’re doing,” she added. In response to directors’ concerns about a “shut down,” Surowiec said all payments and cheque requisitions take a week to be processed which she said would hopefully be resolved by Feb 1. on Friday, a day when the board has called for an emergency meeting. Hines said this move could also halt Jay’s work reconciling the statements, which would further delay the investigation. In the Jan. 24 board meeting, Jay said she has not received any receipts from the executive team since they came into office in May of last year. Hines said if the RSU organizes an external audit prior to their reconciliation deadline on Feb 1. they may be able to resolve the financial allegations. 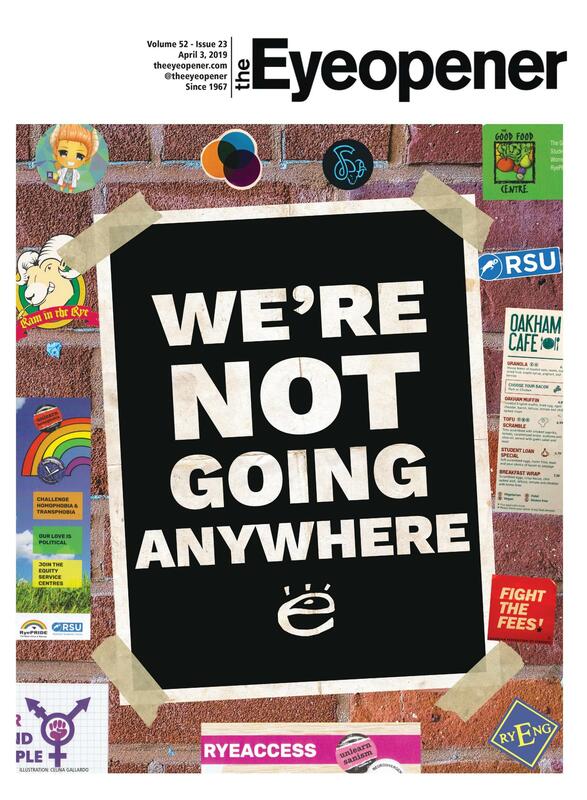 This is precisely why we MUST have the option to not be forced to pay a student levy to be part of a student union . These unions are corrupt to the core and our forced fees only ensure that they continue on this path . Doug fords studntvfee reduction plan will take money out of these corrupt student unions , take money out of the pockets of the CFS ( finally ) and with any luck , cause them both to either gold entirely , or at the very least , greatly reduce Thier ability to use student money to further Thier communist political agenda. 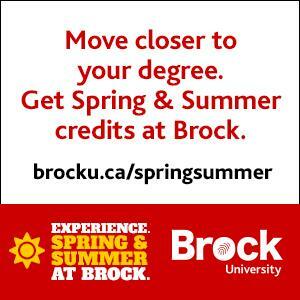 At this rate – I am thinking we should not even bother paying the $60 mandatory fee for RSU. It is a waste every year. Let them pay for themselves. The RSU Execs do not deserve a self-raising promotion when they plunder the money that we give them. I would suggest that this is why the corrupt signing officers from the RSU ought to be charged and prosecuted for embezzelment of funds and serve jail time if found guilty. It is not an argument to end student governments. By your logic any government/organization that had thieves should be eliminated.